With the recent conservative retrenchment, educational institutions have witnessed a backlash against the gains made by feminist and antiracist activists. 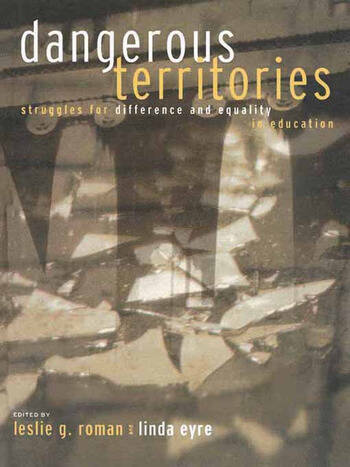 Dangerous Territories examines higher education as one site of this backlash, at the same time challenging the binary framing of discourse as "reactionary" vs. "progressive," or Right vs. Left. Contributors are scholars working within and across a variety of disciplines including law, history, sociology, education, literature, women's studies, queer theory, cultural politics and postcolonialism. co-author Views Beyond the Border Country: Raymond Williams and Cultural Politics (Routledge, 1993). Linda Eyre is Associate Professor in the Department of Curriculum and Instruction, University of New Brunswick.